As I have for the past five years, it’s time to take a look back at the gardening year just completed. Here are the trends, as I saw them, that shaped gardeners and gardens during these past twelve months. If you agree or disagree, let me know., I’d love to hear from you. Just about every man, woman and child has been affected by the recent economic issues surrounding us. Since gardens are, by their very definition, products of the whims of their keepers, they too have been living on reduced budgets and fiscal uncertainty. Annuals got replaced less often, landscape projects got put on hold and gardens, like the gardeners tending them, have almost universally had their belts tightened a bit during the past year. Kitchen gardening is the biggest global gardening trend at the moment. The reasons for this relate to saving money, a desire for a healthier lifestyle and safer foods; but also subtle forces like food miles and waste. Dedicating a portion of one’s garden to food production is a part of the human psyche to return to our roots, when times are lean or uncertain. Food, shelter, clothing and companionship are the basic needs of all people, including gardeners. As luxuries disappeared, we returned to basics. For many gardeners, gardens equated to food. Increased demand for time, smaller properties and the new economic realities added up to smaller gardens. Dwarf plants, tiny trees, narrow shrubs and slow growing species were more popular than ever, as we tried to squeeze gardens into smaller spaces. What constitutes luxury has changed dramatically. Luxury used to equate with buying the biggest and the most expensive. In today’s reality, “luxury” in a garden might translate to fresh tomatoes or a place where the family can dine or spend time together. The idea of luxury is now often tied to the idea of a personal oasis or a retreat at home or a place to escape. 2010’s definition of luxury had less to do with more, bigger and shinier and more to do with one’s personalization of their garden space, perhaps even in eccentric ways. More than one-third of Americans now garden mostly for better mental health, nutrition or fitness. Plants and gardens, whether inside or outside, benefit people’s well being. As we continued to live stressful lives, there was an ever increasing need for a safe haven at home. Globally, more of us were turning to our gardens for the peace and tranquility that nature so perfectly delivers. Last year, many of us looked to our garden spaces to unwind after work, relax and ‘recharge the batteries’ and most importantly, to reconnect with nature. In spite of a deluge of recent rain, 2010 will be remembered as a year of conserving. Water use, mulches, water barrels, new approaches to irrigation and low resource plants all weighed heavily on our gardening minds. The backlash against the use of pesticides in food gained even more pace and as a result organic gardening continued on the rise. Organic gardeners wanted healthy and less expensive vegetables and the certainty of knowing it was safe and pesticide free. But organic gardening wasn’t confined to edibles and continued to expand throughout the garden as chemical solutions to nutrition, pests, diseases and weeds became less and less attractive. The increase in container based gardening continued at a torrid pace and reflected that not everyone had enough space to dedicate to gardening. Last year we saw a further increase in the wave of container gardening, often revealing itself in pots of vegetables, herb boxes, potted citrus and other food plants. The container gardening trend also combined well with the growing interest in succulents, Mediterranean and other low water plant choices. More and more turf is being given over to gardens – especially in the front yard. Gardeners discovered that a well-thought-out garden, especially one with low water, low fuss plants, added curb appeal and eco-friendliness, while cutting down on maintenance costs and time. ‘No mowing, no pruning and minimal watering’ seemed to be the mantra for many gardeners. As gardeners grew in their need for relevant, current and accurate gardening information, online seemed to be the answer. New regional gardening websites, text alerts, Facebook feeds, local blogs and YouTube videos helped dispel the mystery and fear that intimidates many gardeners. 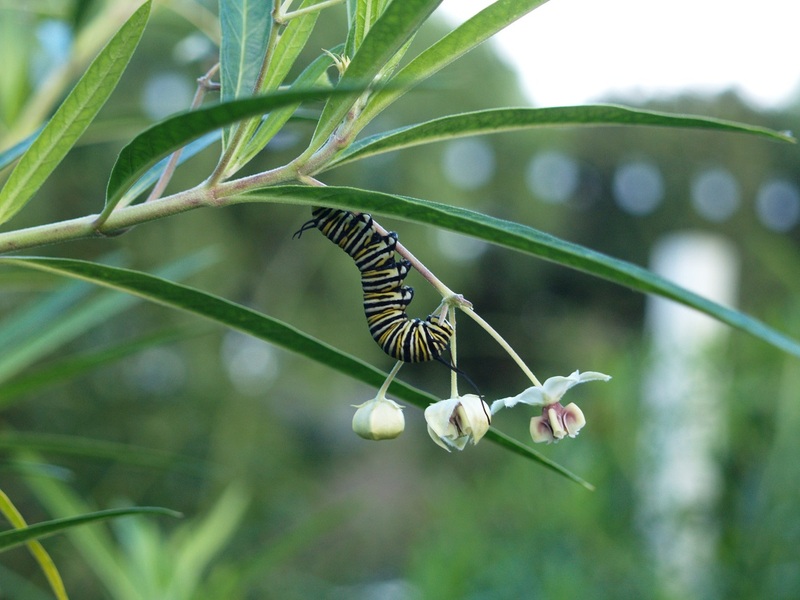 When to plant a toyon, how to prune a peach, the size of a salvia; new pests, new plants, new techniques, new designs – all was only a click, post or tweet away. As a gardener, that’s how I saw 2010. What awaits us as we dig in to a new gardening year? Questions from Readers January 8. Thanks for your recent columns on fruit tree pruning, but what about pruning a persimmon? That’s a complex answer. If you read this early enough on Saturday stop by at 9 AM. I’m giving a seminar on edible gardening and one of the topics will be winter fruit tree pruning.